city as a way of helping future leaders,” Nataño said. “Education is one of the best gifts that every youth deserves to have,” she added. Continue the good thing that you have been doing, because there's a bright future ahead of you,” she said. this assistance to pursue that dream.” Nataño told the scholars. 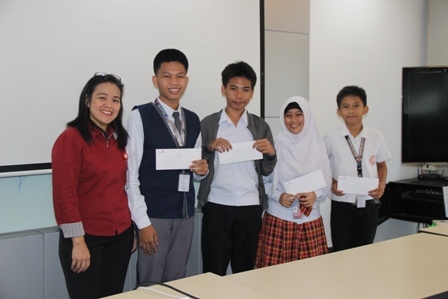 For the beneficiaries, words were not enough to appreciate the firm’s program. said James Perez Jr, Grade 9 from Cotabato City National High School (CCNHS – Main Campus). Another scholar was as optimistic as the Cotabato Light that she could attain her dream. scholarship program. They are brothers Romel and Romer Antiporda. education of my children,” mother Zenaida Antiporda said. performance to continue the scholarship grants.